Another week, another post but this time I actually have something to report. First of all, I think it’s time for some celebration, 25 progress reports, #ProjectMomentum is going strong. A couple of weeks ago I told you about this Masterclass I’m taking. Aaron Sorking talking about screenplay, it’s really interesting and enjoyable. I decided to participate in one of their group assignments. Together with some others, I’m supposed to write the next episode of Firefly, yeah, more space cowboys. 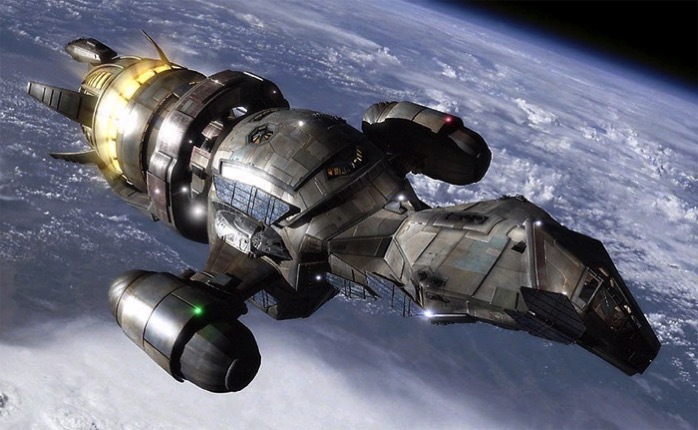 The group seems nice so far and I’m pretty sure that we’re going to be able to come up with an interesting addition to the firefly universe. I’m a little worried though, I never worked with so many people on a story. I’ll keep you posted. One book/screenplay: Got some homework from that writing group: read 3 Firefly teleplays. I cheated a bit, I read the Train Job, Out of Gas and Serenity (the movie, not the pilot). Afterwards I felt really annoyed, why was that show canceled again? Two movies:Some episodes of Firefly, Serenity and I’m on a West Wing Marathon. Seems like I left that silly romantic comedy and action movie phase behind. I just hope it doesn’t come back, If it does…it’s time for the big guns, Richard Curtis and Stallone, but fingers crossed. Seven pages: No new pages, waiting on feedback. Seven hours: Still no concrete idea, I have a few things floating in my head but so far nothing worthy has emerged. I probably focus on that Firefly thing though, maybe afterwards the new idea will present itself. So how did that Blacklist feedback for The Passion of the Geek go, you ask? Well, good and bad. It’s no surprise that they criticized my lack of thorough proof reading, they also disliked the meta jokes, no surprise there, but the one thing that made my day was the fact that both reviewers liked some of my original jokes/set pieces. They liked the absurdist nature of it, even though they criticized a lack of escalation. It’s starts pretty wild and there’s no room for build up anymore. They disliked quite a lot though, some of it deservedly so, with some of their findings I plainly disagree, they didn’t get it and maybe I did’t do a good enough job of explaining or setting those jokes up properly. What do I take from this? Well, apparently I have (at least in some sort of way) a voice. It’s still in development and I have to stop hiding it behind the meta crap. That’s probably what I’m going to do in the long run. Write a Passion of the Geek with the meta turned down and the humor turned up. Maybe that’s what my next, german project could be as well, a german Passion with less meta and more fun. There seems to be a market in Germany for comedies, who knows, maybe I could write the next one. The downside to this is the fact that I’m planing to write something with a female protagonist and The Passion is too personal for me to gender switch and I doubt it would work as well. So I’ll probably do something else first. I’m toying with the idea of a workplace romance comedy with a female protagonist, a single mom or so, new job, stupid boss, strange coworkers and some gender reversals like a male nanny or something like that. The more I think about this, the more I like it. I know, it was a long time ago but I’m still sad sometimes when I think about it. 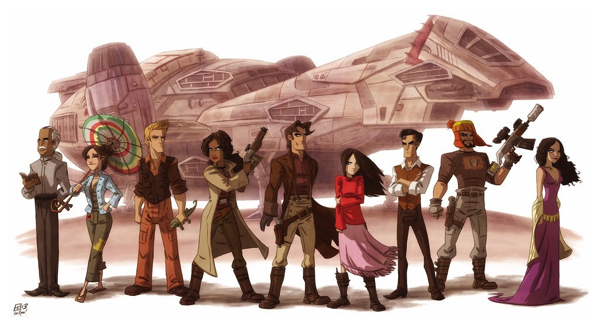 The crew of the Serenity. I really miss them.